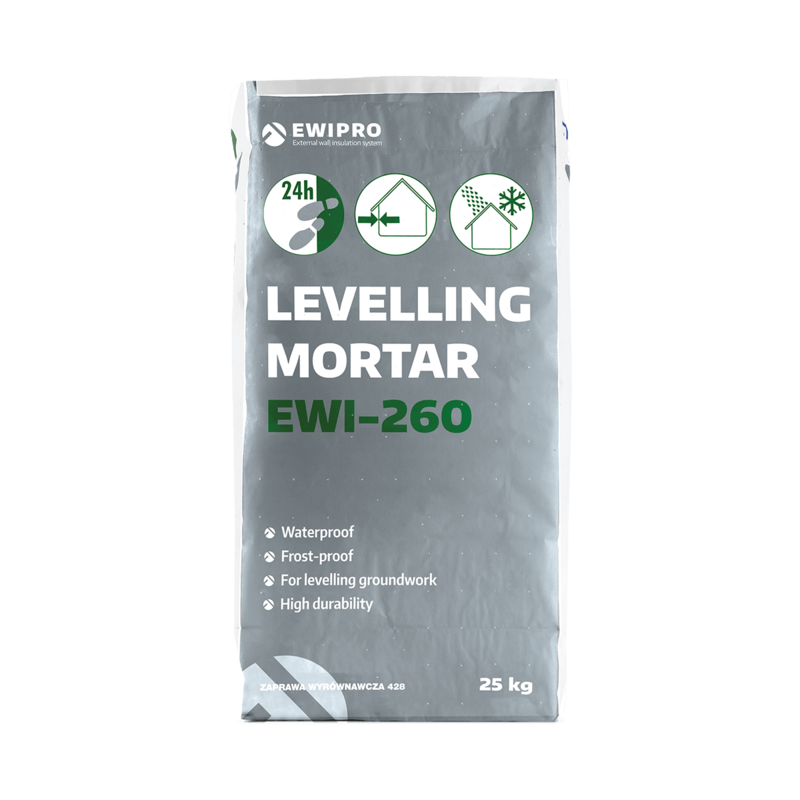 Levelling Mortar is a highly versatile, easy to apply mortar which is designed to prepare an uneven substrate before applying a basecoat, render or EWI Pro external wall insulation system. This is the perfect product to use to create a smooth surface and to repair or fill any holes within a substrate. The mortar can be used to repair imperfections up to a maximum of 50mm, and can be used on a wide range of substrates including existing pebbledash, concrete and brick or blockwork. 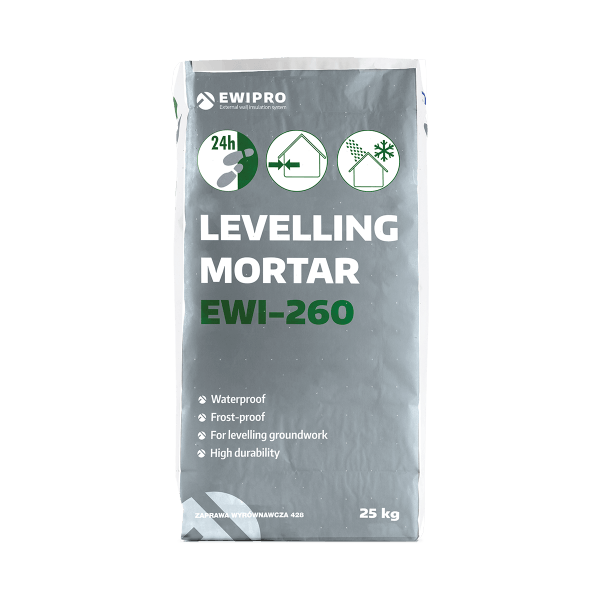 Levelling Mortar should not be applied in rain or humid conditions, or if wet weather is expected before the adhesive has set. Product should be applied in temperate weather and should not be used in temperatures above 30°C. If the materials or the substrate are frozen, or if there is any risk of frost damage within the first 24 hours, work should be postponed. EWI-260 should be mixed with approximately 4 litres of water per 25kg of dry mix.